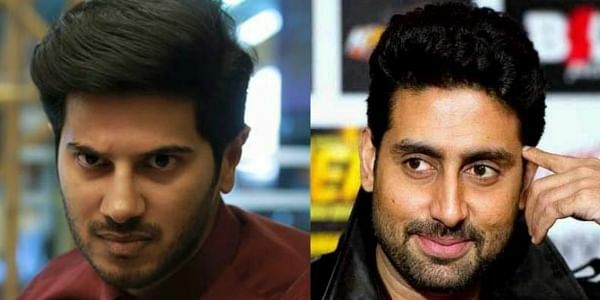 While speculations were rife that Dulquer Salman will be starring in Manmarziyan, directed by Anurag Kashyap, latest reports say that Abhishek Bachchan has replaced Dulquer in the movie. According to sources, the makers have finally decided on Abhishek Bachchan for the lead role. The movie, produced by Aanand L Rai, will also have Tapsee Pannu and Vicky Kausal in significant roles. The buzz is that the first schedule of Manmarziyan will soon begin in Kashmir. Dulquer Salman, who will make his Bollywood debut alongside Irffan Khan in Karwan, is now busy with his Telugu movie Mahanati, where he will be seen playing legendary actor Gemini Ganeshan. He also has Ra Karthik’s film, which is said to be a travelogue, in the pipeline. The actor's last release was Solo, which bombed at the box office.